Time for a reversal on this pound pair? 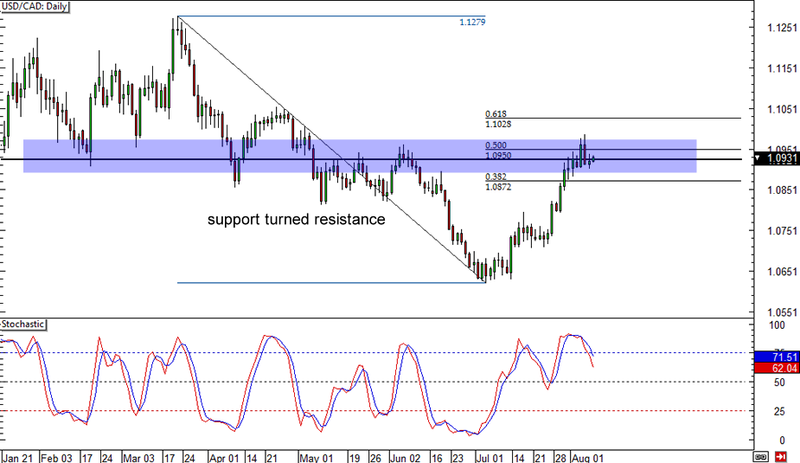 GBP/CHF is finding resistance at the top of the rising channel on its daily forex time frame, indicating that a selloff might be in the cards. After all, stochastic is already making its way down, which means that sellers are in control of price action at the moment. A selloff could last until the mid-channel area of interest somewhere around the 1.5000 major psychological level or until the bottom of the channel at the 1.4700 mark. 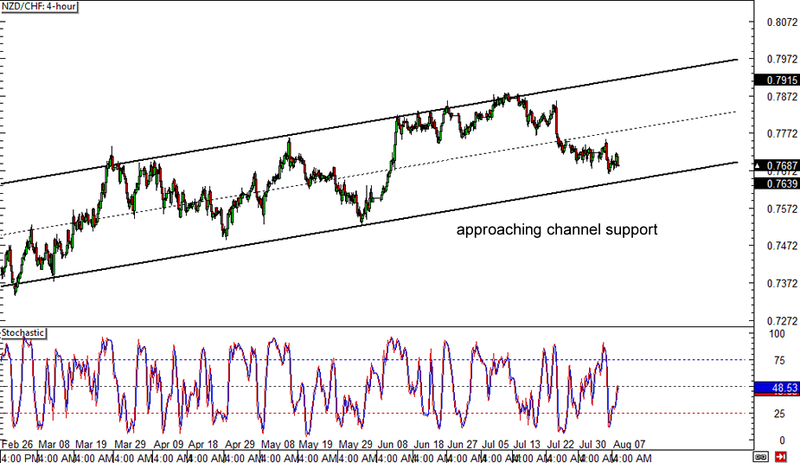 Make sure you set a stop above the top of the channel if you’re thinking of shorting! Now here’s my favorite break-and-retest scenario playing out on USD/CAD’s daily forex chart. The pair has been in a steady downtrend since March before it found support around 1.0600 and pulled back up to the 1.0900 levels. This could be a huge market correction though, as the pair is now finding resistance at the broken support zone near the 50% Fibonacci retracement level. At the same time, stochastic is starting to move out of the overbought area, reflecting a pickup in selling pressure. If the downtrend resumes, USD/CAD might soon find its way back down to the 1.0600 area or lower. Kiwi bears, watch out! NZD/CHF is moving close to the bottom of the rising channel on its 4-hour time frame, which means that a bounce might take place sooner or later. The channel support lines up with the .7650 minor psychological level, which could act as a floor for the selloff and push the pair back to the mid-channel area of interest near .7800. Stochastic is climbing out of the oversold zone, which means that bulls have enough energy for a Kiwi rally. 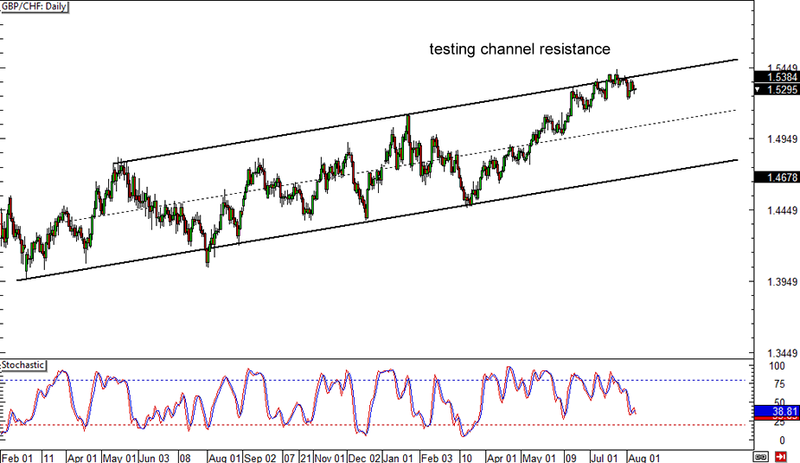 A stronger uptrend could even take NZD/CHF back to the top of the channel around the .8000 major psychological mark.